It’s pancake day… Yay! And to celebrate we’re having a party! 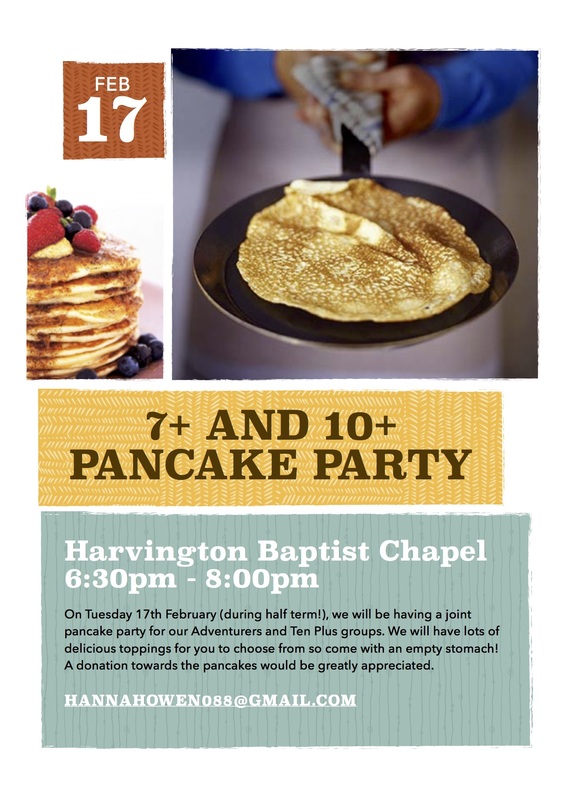 If you’re 7-13yrs old, come to the Baptist Chapel tonight – 6:30-8pm and fill up on delicious pancakes! If you’re 13-16yrs and worried that you’re not going to get any pancakes….. Don’t fret – we have one for you guys on Friday!